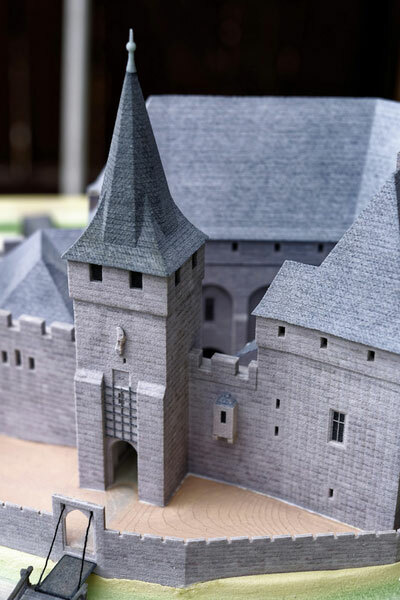 Castle models for the Bavarian-Czech National Exhibition 2016/17 Karl IV. 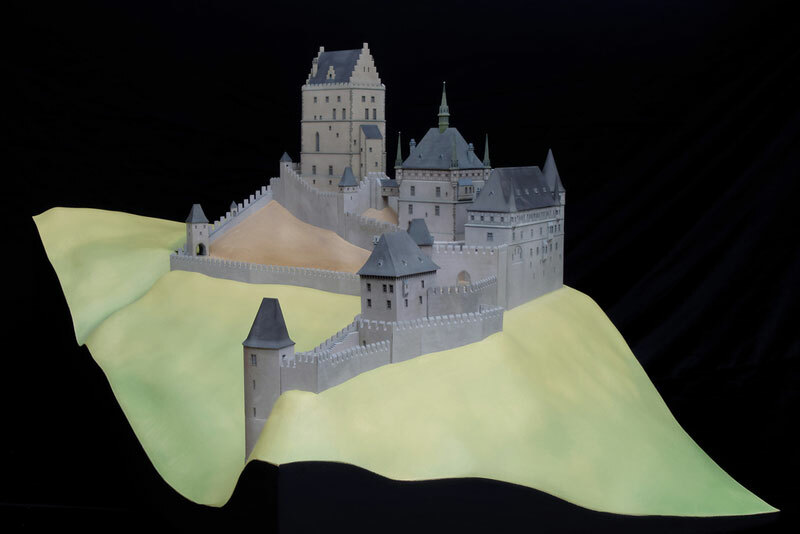 ArcTron 3D produced four elaborate castle models for the national exhibition 2016/2017 in Prague and Nuremberg. This exhibition is organized by the State of Bavaria in collaboration with the Czech Republic. 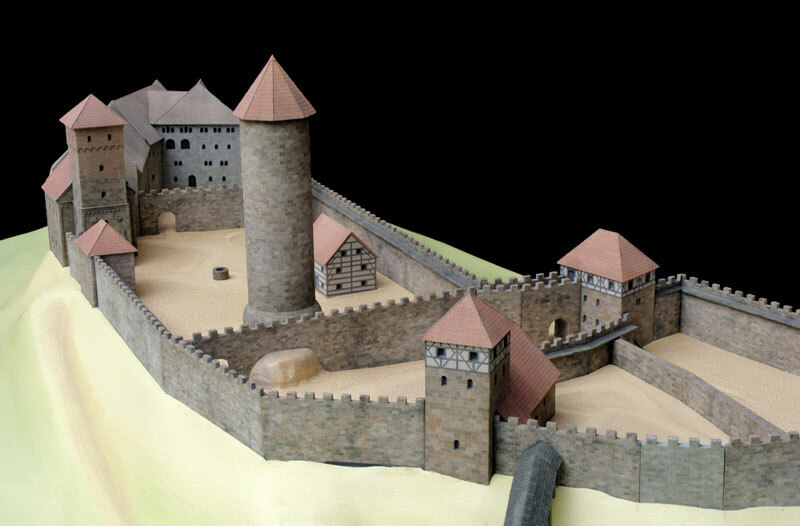 This new production followed the design, style and quality of the model series which ArcTron had built back in 2010 for the Germanic National Castle Museum. That series had been displayed at the exhibition “Myths of the Castle”. 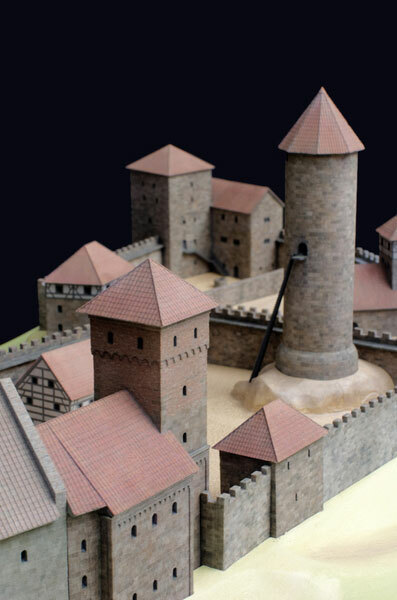 The model building process included innovative methods of combined computer-based reconstruction (in collaboration with Prof. Dr. Grossmann , GNM Nurmberg ), photorealistic, 3D colour printing of the architecture and CNC milling of the terrain models. First the data was digitally constructed and designed. This step was followed by the printing process in colour and in very fine resolution (layer structure: 0.1mm). The final result shows a series of models in very high level of detail and great quality with nearly true surface and stone-by-stone object texture. 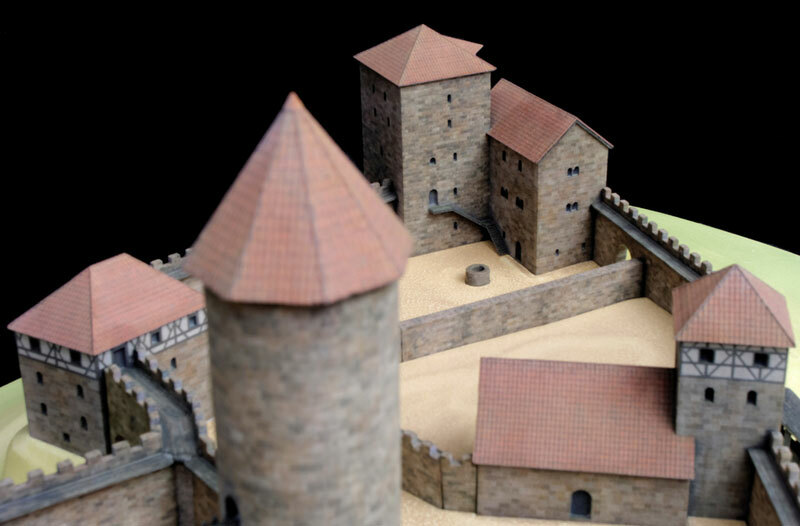 The 3D data of this castle was already available in large parts. Only some elements had to be newly reconstructed, the outer moat was omitted and minor changes and redesigns were carried out. Also from the castle Lauf digital data was partially available. This data set was supplemented with new photogrammetric scans of the original. 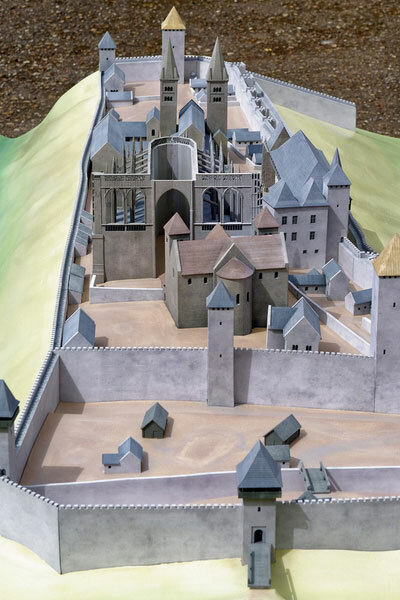 The donjon and the courtyard facade were newly added and the present outer moat wall omitted. In addition, the model was positioned on a reconstructed river island. 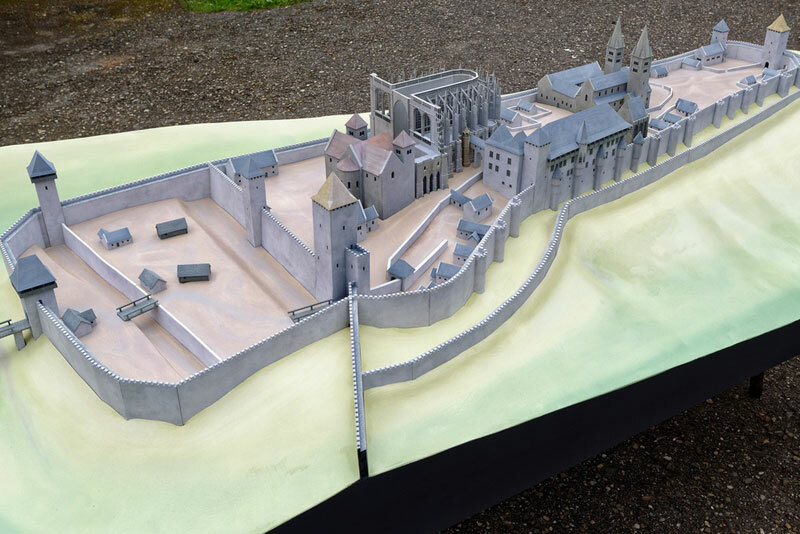 An existing model was used as a basis for the digitization and digital reconstruction work. An exhibition model at the Germanic National Museum had previously been scanned and reconstructed. In addition some individual and scientifically supervised changes were made. 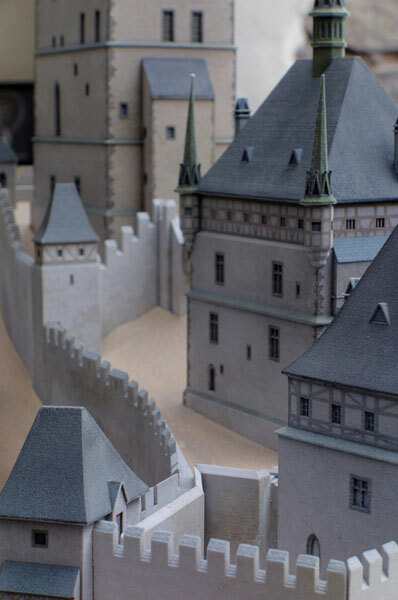 The exhibition model of Prague castle was produced in its building state of 1390. 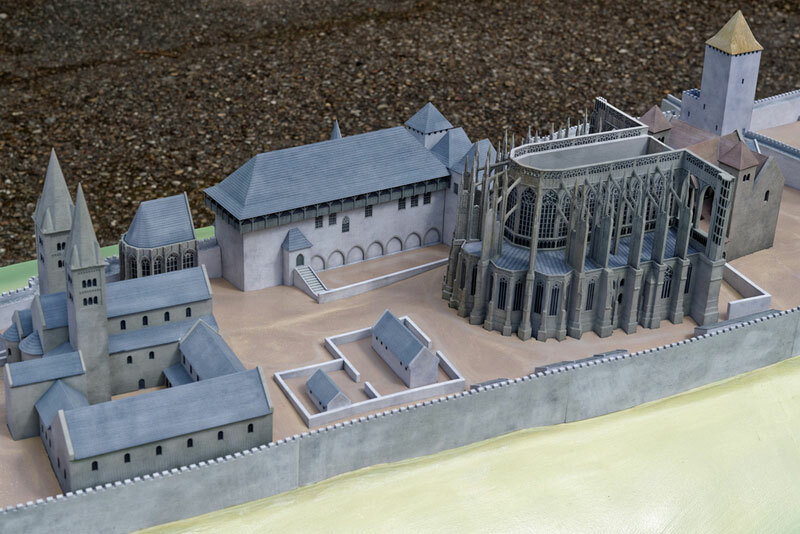 A particular challenge was the model size (3m x 1.5m) and the amount and complexity of the buildings – in particular the Veits-dom in its partially unfinished state of construction. All four exhibition models can now be seen in high detail quality, with colour textures and in the same scale. The primary technologies used were 3D printing and CNC milling. The colour design of each of the terrains was accomplished by a historic church painter. This short video trailer about the project “imperial castle” of Lauf a.d. Pegnitz provides insight in our work carried out for this project. The exhibhition, which is accompanying the international Bavarian-Czech exhibition, open untill March, 2017 in the city of Lauf. 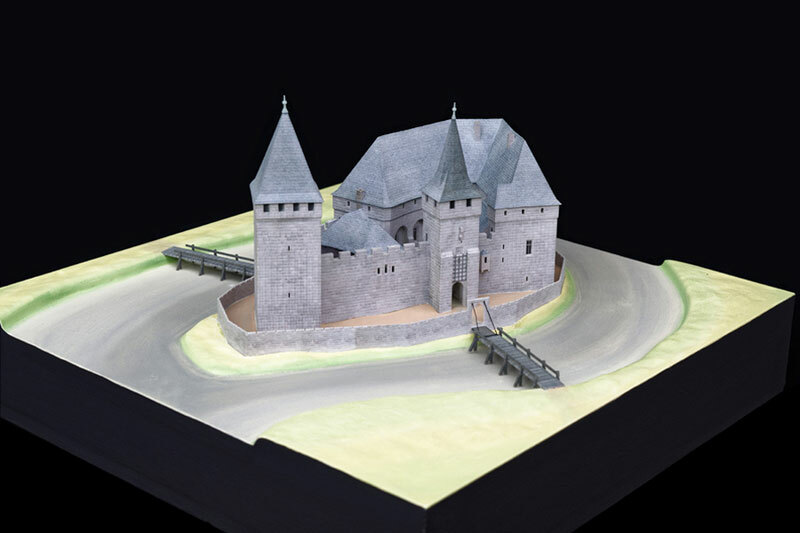 For this exhibition project the ArcTron 3D-team has documented the castle with a laser scanner and photogrammetrie, merging this data with other already existing data. 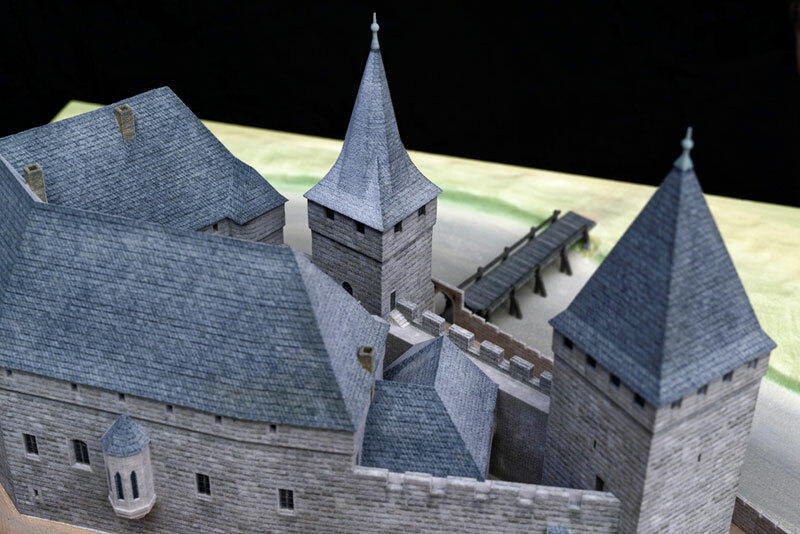 In the exhibition the 3D data set forms the basis for a short film with animations, a hologramme as well as an exhibition castle model with surrounding landscape in the scale 1:200.